Provide comfort for the family of Alberto D. Lujan, Sr. with a meaningful gesture of sympathy. 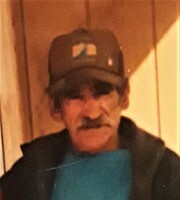 Alberto D. Lujan Sr., age 74, a resident of Peralta, passed away on Monday, March 18, 2019. He was a loving husband, daddy, grandfather, great grandfather, brother, and uncle. Alberto was loved by everyone. He loved spending time with family friends. Alberto enjoyed fishing, hunting, being outdoors and watching TV. He was always outside his home chopping wood or enjoying a cold beer or two and a cigarette. If anyone needed a helping hand, he would be the first one there. The apple of his eyes was his two grandchildren. Alberto will be in our hearts forever! He is preceded in death by his parents Melcor and Leonela Lujan; grandparents, Francisco and Reina Alderete; brothers, Melcor Jr., Billy, and Frank Lujan; sisters, Ida Lujan, Nellie Gutierrez, and Corine Peralta; and grandsons, David and Anthony Lopez. Alberto is survived by his loving wife of 48 years Jane Lujan; daughter, Lillian Lopez; son, Albert Lujan Jr.; grandsons, Miguel Lujan, and Brandon Lopez; great grandchildren, Melody and Miguel Lujan Jr.; and his pet dog “Crazy 8”. Services will be held Monday, March 25, 2019 at San Clemente Catholic Church in Los Lunas. A visitation will begin at 9:00 a.m. followed by a rosary at 9:30 a.m./ The Funeral Mass will start at 10:00 a.m. Interment will be at Los Lentes Cemetery directly following the service. Pallbearers will be Miguel Lujan, Brandon Lopez, Michael Jaramillo, Steve Aragon, Floyd Gutierrez, and Billy Joe Lujan. Honorary Pallbearers are Lawrence Tafoya, Manuel Gutierrez, and Tony Lujan. Arrangements are being handled by the caring professionals at the Noblin Funeral Service Los Lunas Chapel, 2211-D Main St., (505) 866-9992. To send flowers in memory of Alberto D. Lujan, Sr., please visit our Heartfelt Sympathies Store. We encourage you to share your most beloved memories of Alberto D. Lujan, Sr. here, so that the family and other loved ones can always see it. You can upload cherished photographs, or share your favorite stories, and can even comment on those shared by others. Provide comfort for the family of Alberto D. Lujan, Sr. by sending flowers.